Terrance Rey, Owner and Publisher of StMaarten-Info.com. An Awardwinning Businessman, Experienced Aviation Broker, Travel Consultant, Destination Marketeer, Internet Entrepreneur, Policy Advisor and All-Round-Go-To-Person-To-Get-Things-Done-On-St. Maarten. Email me with any questions you may have about St. Maarten/St. Martin. Welcome to StMaarten-Info.com where you can also read the latest tourism and travel related blogposts about the island of St. Maarten – St. Martin. Hi, my name is Terrance Rey. Yes, that’s my photo here on the right. 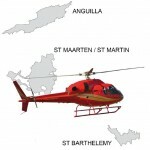 I am the owner and publisher of StMaarten-Info.com. I call it the most personal source for information about St. Maarten/St. Martin because my website is all about providing you with information about St. Maarten-St. Martin from a real person who actually lives, works and invests on St. Maarten. I also do a lot of socializing, but that’s another story we can discuss over drinks some time. Most tourist information websites about St. Maarten/St. 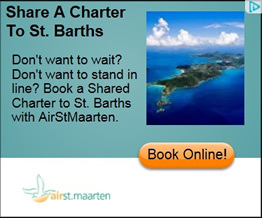 Martin are all impersonal websites managed by someone or some marketing agency that is not even based on St. Maarten. Some even blatantly pretend to be the website of the tourist office on St. Maarten. Fortunately, there are only two official tourism websites for the tourist offices on St. Maarten and St. Martin. Most tourism websites are all dead and haven’t been updated for years. But as long as the website is hosted somewhere, it will remain on the internet forever. You might send them an email, but don’t count on getting an answer anytime soon. 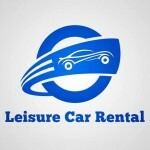 Most tourist information websites are all about advertising. These websites all show the same advertisements from the same businesses and it becomes painfully obvious that the businesses that has the most marketing dollars gets the most exposure with these ads, sold to them by savvy smooth-talking sales reps visiting the island once or twice a year or via Google Ads. Some ads have been published on a website that has been dormant for so long that the business being advertised are already long gone or out of business. You would be surprised how fast and easy businesses come and go here on St. Maarten. Especially with the state of the economy on French St. Martin, don’t expect to find bars, restaurants and stores still in existence that you may have visited or frequented years ago while on Saint Martin. My point is that my information website about Sint Maarten-Saint Martin is actually managed and maintained by a real person who lives, works and plays on St. Maarten. Me!!! Any questions you have about visiting, vacationing, living, working and/or investing on St. Maarten/St. Martin you can email me and I will personally answer you back. You can contact me here. There are a lot of travel forums, blogs and travel review sites you can visit to get information about St. Maarten/St. Martin in preparation for your next vacation travel or business trip to our island, but not everyone is up to posting their messages on these forums or exposing their travel plans to people they don’t know. Sometimes you wouldn’t want to post a question for the simple reason that you might not get an answer you can actually do anything with or you might get a rude answer from condescending people who feel they know it all and who make you feel you are asking a stupid question. Trust me, you have those characters as well. So if you are planning a visit to St. Maarten or if you are interested in living, working or investing in St. Maarten/St. Maarten and you have any questions about this, just send me a message here and I will answer you personally with any information you may need. 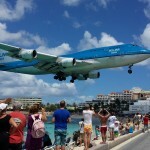 Why Should Any Airline Fly To St. Maarten? Finally, below you will see and read about several businesses I personally own or promote – like WeddingPlannerWeb.info – because I work with them to provide you, the visitor to St. Maarten/St. Martin, with the right kind of services you need to make your vacation visit, your cruise stop for the day, your business trip or your destination wedding the most enjoyable you will experience while on our island. PS: Need an Island Tour? Visit St. Maarten Tours’ website at http://www.stmaartentours.info to book a tour today. For 2018 they are launching a number of new tours, including an “Agricultural Tour”, a “Help Plant A Garden Tour”, a “Historical Tour”, a “Hillside Hiking Tour” and an “Artistic Tour”. See St. Maarten/St. Martin through the eyes of a local taxi driver, the preferred tour directors for St. Maarten Tours. Search StMaarten-Info.com for information about St. Maarten / St. Martin businesses and how to contact them while learning more about Caribbean’s most exciting vacation destination: St. Maarten. If you are looking for restaurants that serve the best food; if you are looking for world class duty free shopping; if you are looking for places that offer a vibrant nightlife; if you are looking for the most pristine beaches on the island; if you are looking for a year-round warm climate and a cosmopolitan atmosphere with a Caribbean twist, then you will find that and more here on StMaarten-Info.com, Sint Maarten’s – Saint Martin’s (one island – two nations) most complete business information website. Buy our information package called “Living, Working & Doing Business in St. Maarten“, which was compiled based on all the questions posed to us before and all the answers given and documents provided about “Living, Working & Doing Business in St. Maarten“. Hire us to take care of your vacation home, villa, condo or rental property here on St. Maarten. We will manage your property as a caretaker and maintenance management services provider doing all the necessary repairs to keep your property up to par. We can also take care of all your guest relations needs. Call or email us today. 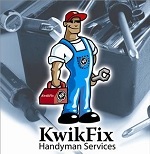 Visit www.kwikfix.com for more information. 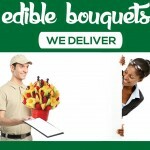 If you are looking for a unique way to treat someone to a surprise, consider ordering our new product: Edible Bouquets. We will deliver these anywhere on St. Maarten to anyone you want to make their day an enjoyable one. Visit www.stmaartenflowers.com to place your order today. NEW! NEW! NEW! 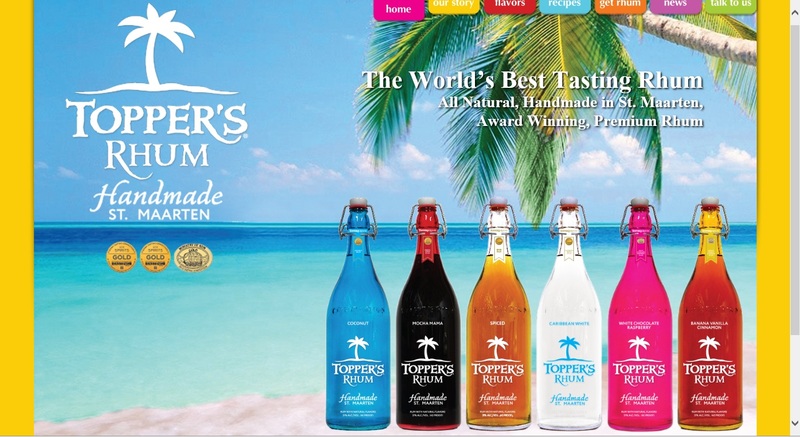 TOPPER’S RHUM NEW! NEW! NEW!